The company LKW Komponenten s.r.o. in Bánovce nad Bebravou was founded in 2005 as subsidiary production company, with the legal subjectivity of the company MAN Nutzfahrzeuge Österreich AG. In 2012 it became a member of Volkswagen group. 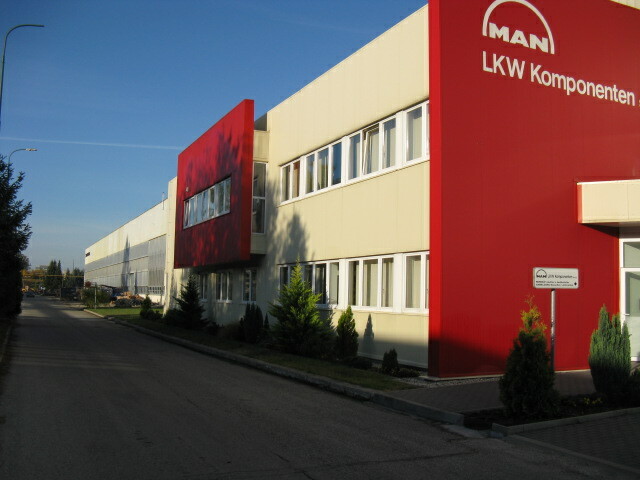 The company is situated in an industrial part of the town, in the premises of the former Tatra plant, 120 km from Bratislava. It produces additional parts for truck frames and cabins, sheet-metal parts, ducts and welded systems. LKW Komponenten s.r.o. is the main supplier of parts in the multinational concern MAN. The main production programs are: splitting of material, cutting of shapes, pressing of parts, bending of parts, metal-cutting work, resistance point welding, manual and robotic inert-gas shield welding. LKW Komponenten s.r.o. currently employs approximately 300 people. The company continuously expands and invests in technological equipment, while operating modern production and assembly facilities.